A range of universal gripping products from DN 50 u.t.i. DN 400. Hegawa introduces their latest product development i.e. 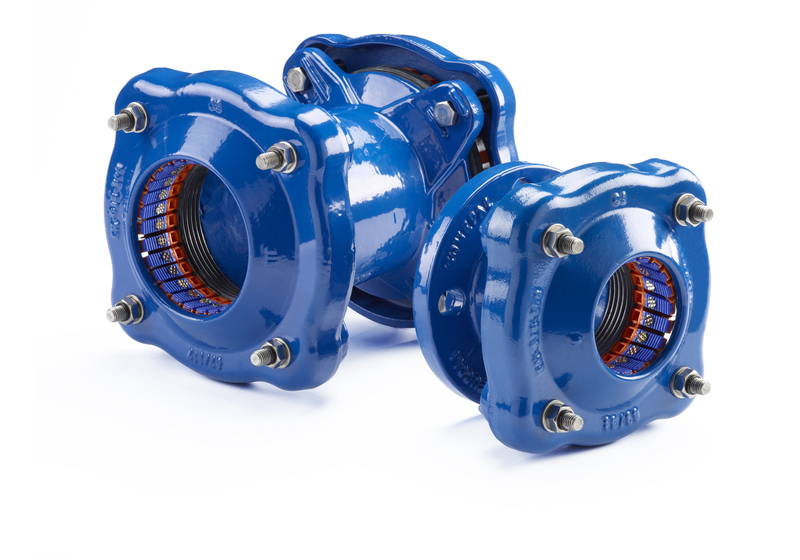 Hegawa FastFit Plus Range Grip couplings and flange adaptors. A range of universal gripping products from DN 50 u.t.i. DN 400 which enables you to make locking connections on steel, ductile iron, cast iron, asbestos cement, GRP, PE and PVC pipes from 39 mm o.d. u.t.i. 430 mm o.d. The new Plus Range Gripping products gives you a range of maximum 40 mm to connect all different pipe materials with each other and make them pull-out resistant. 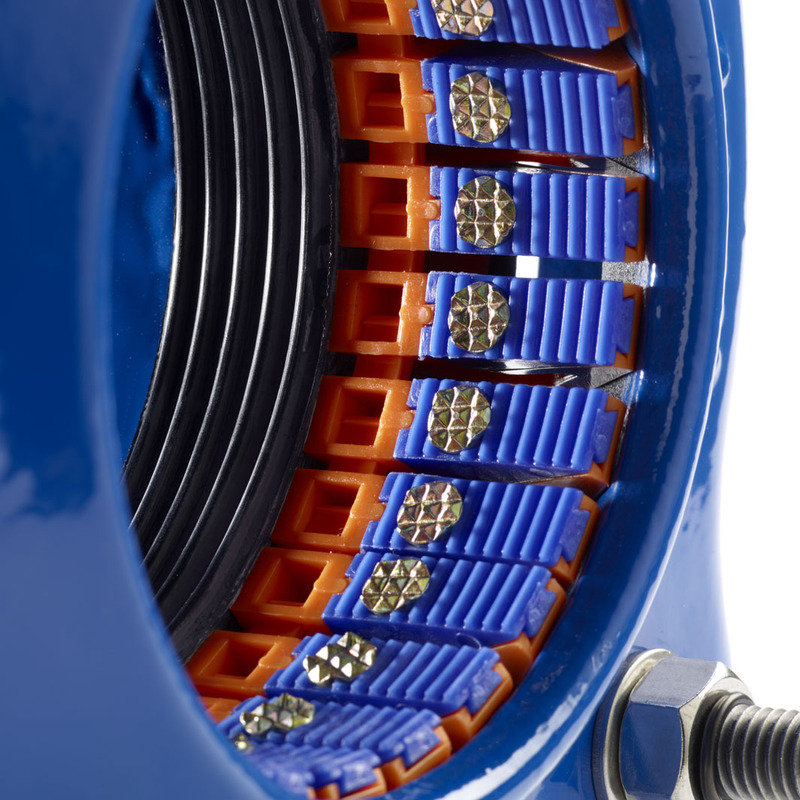 The new developed gasket in combination with the POM grippers results in a leaktight, pull-out resistant connection. The sealing is being made through the incorporated O-rings making small separate chambers and taking care for a quick leaktight sealing. The POM grippers in combination with the incorporated steel rivets take care for the locking device. It is a universal design that can be used on all the pipe materials without changing them. The locking bolt head design takes care for an easy installation by only using a torque wrench. 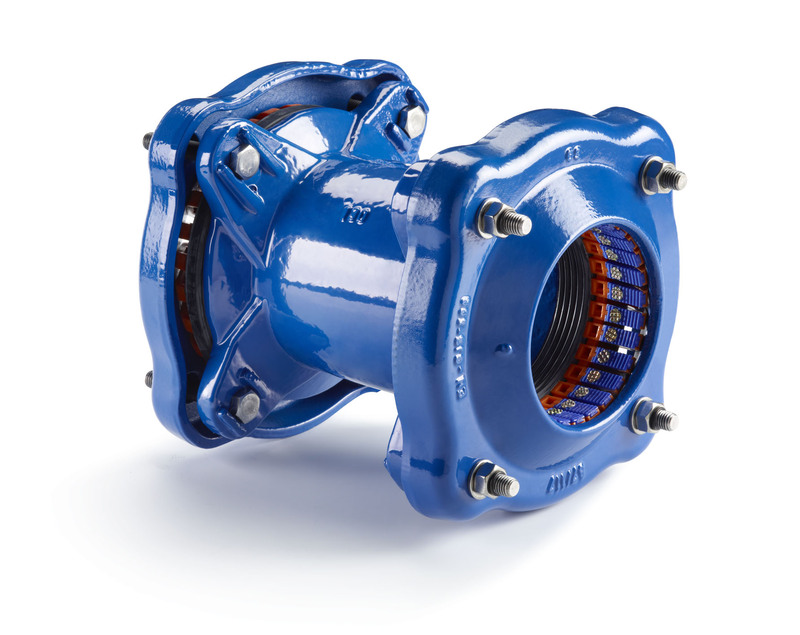 The product is able to take up angular deflection up to 8˚ (for flange adaptors up to 4˚). 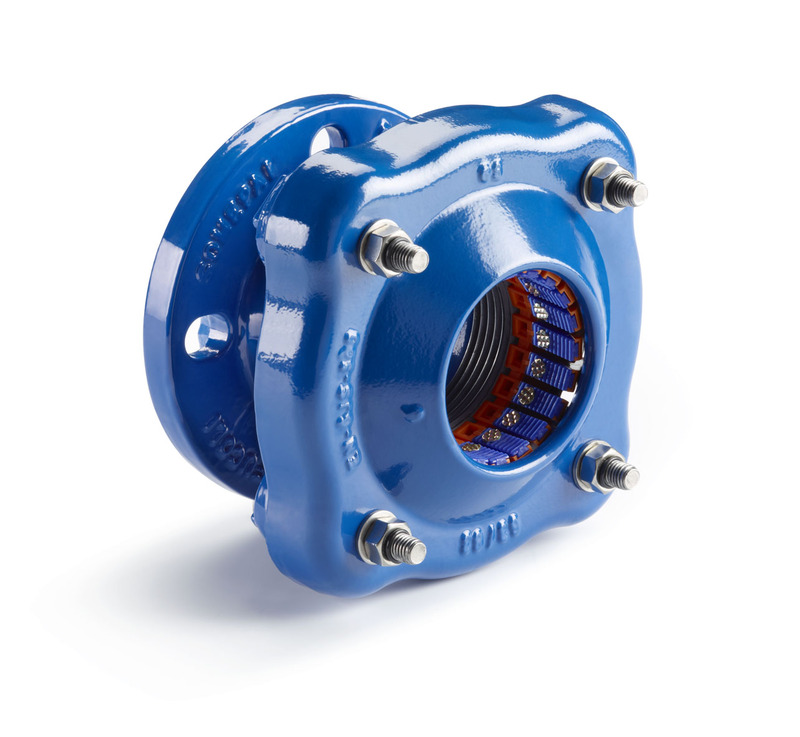 Suitable for a working pressure up to 16 bars for water and 5 bars for gas applications. Tested in accordance to EN 14525, EN 545, EN 969. Note : for use on PE and PVC pipes we recommend you to use inserts.